Late last month, the world saw Easter come early, in the form of some major announcements from Apple. In the mini press release, the Cupertino company introduced new hardware products, improvements to existing devices, and a new app. But, although the new red-aluminum iPhone 7 was met with notable praise, what really stole the show was a new iPad, which debuted with an impressively low price tag of $329. Despite serving as the much-awaited update to the iPad Air 2, the tablet is simply called “iPad,” perhaps confirming the long-running speculation that Apple could soon do away with its “Air” line of iPads and MacBooks. Regardless of the name, however, the new iPad is as remarkable as mid-range tablets can get. Now available in Apple Stores, select carriers and authorized retailers in over 20 countries, the iPad is quickly winning the hearts of not only iOS enthusiasts but budget lovers as well. At first glance, the new iPad strongly resembles the Air 2. However, having the two tablets in hand reveals a definite difference in thickness and weight. In fact, its design is a lot closer to that of the original iPad Air, a fact that’s led reviewers to dub it the tablet equivalent of the iPhone SE (or the iPad SE, if I may). 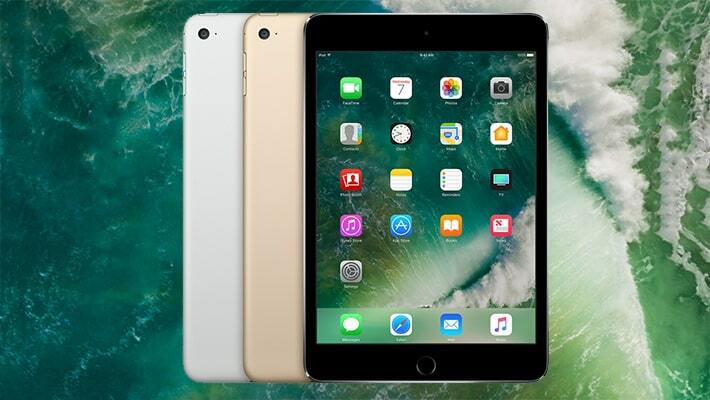 The 9.7-inch QXGA Retina display offers the same 264-ppi pixel density as the tablet it replaces but is significantly brighter. The screen has been a huge strength for the iPad since the beginning, and it’s great that even with its price, this one remains one of the best portable media players around. Sure, the iPad Pro’s screen is better with colors, and the recently released Samsung Galaxy Tab S3’s AMOLED display is much more vivid. But, starting at $599, both tablets are way above the new iPad’s price range. Under the hood is the Apple A9 chip, which is itself an upgrade from the iPad Air 2’s A8X. As expected, the new iPad is faster than the Air 2, but a bit slower than the iPad Pro, which packs a newer A9X processor. Nevertheless, the iPad is comfortable with virtually all iOS 10.3 apps and games. The base model comes with 32GB of storage, and as for the battery, Apple’s 12-hour claim seems to hold up pretty well with regular use, a step up from the iPad Air 2’s 9-hour battery life. As remarkable as a sub-$500 iPad sounds, it wouldn’t be so without a few compromises. In addition to an older design, as well as a chip that’s a generation behind, Apple’s new iPad lacks pro features like stylus support, quad-speakers and a clip-on keyboard, all that make the high-end iPad Pro a tempting albeit more expensive alternative. The Apple Pencil on the iPad Pro, for instance, is fantastic, especially when working with productive tools, such as Adobe’s photo editing and illustration utilities. So, of course, you’ll miss out on a few things if you opt for the iPad versus the iPad Pro. 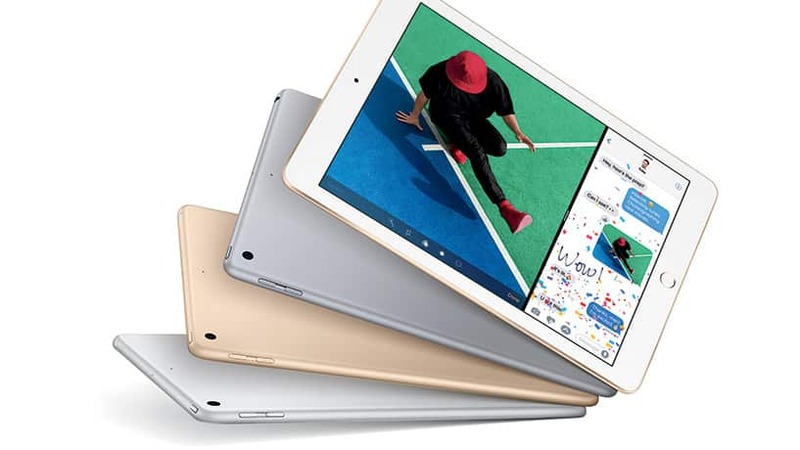 However, if you’re only interested in a good-value tablet that can handle the usual iPad-like things, such as movie watching, gaming, web surfing and e-book reading, this should undoubtedly be the first iPad you consider. All in all, the new iPad is an excellent successor to the now aged Air 2. It may feel cheaper, but it’s a lot more advanced. 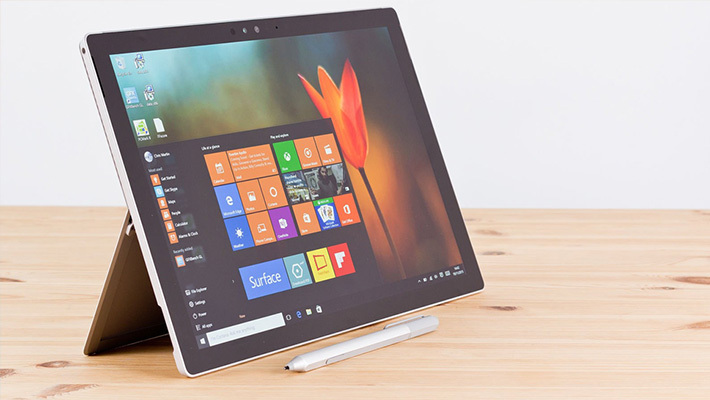 Although those with the previous device need not upgrade, I highly recommend the new tablet for first time iPad users, and those looking to strike a bargain.